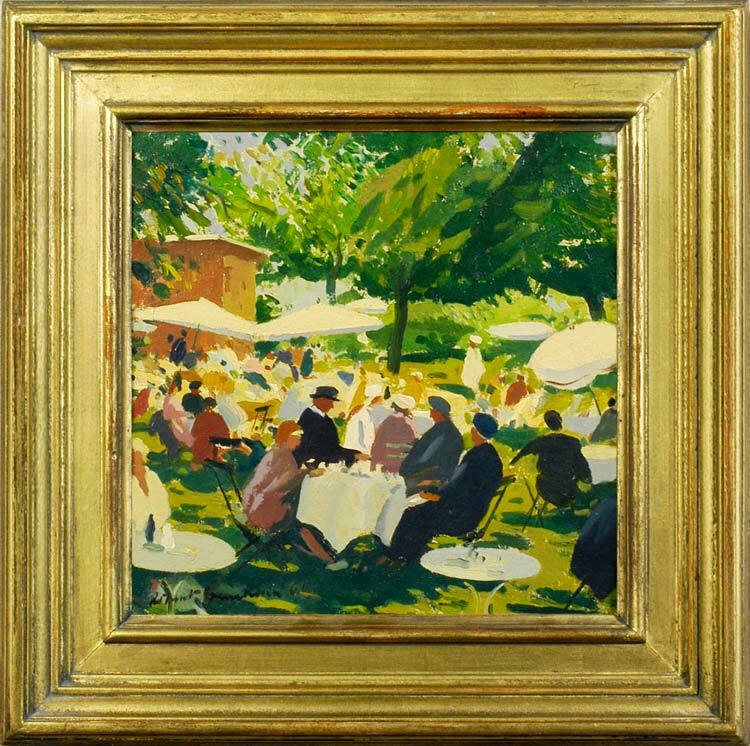 A rapid, spontaneous study, almost certainly made en plein air, this is another version of the social occasion which Greenham delighted in painting. A relationship to British landscape posters between and after the Second World War is still faintly apparent; but this is also a vivid study of sunlight on grass and fabric, and sunlight seen through the trees. Light scintillates on the white shapes of dresses and parasols and transmutes in the shadows to nacreous colour. Like other paintings by Greenham, a realistic study of life outside, it is at the same time a flat, decoratively-patterned surface.